In Chicago, the Bears grip on the city spans generations and cultures, endures disappointments, and celebrates triumphs great and small. From the team's humble beginnings to its status as a marquee NFL franchise, the Chicago Tribune has documented every season. 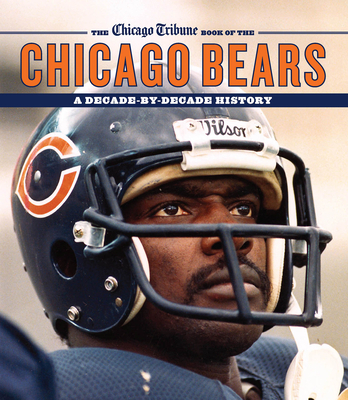 The Chicago Tribune Book of the Chicago Bears is an impressive testament to Bears tradition, compiling photography, original box scores, and entertaining essays from Hall of Fame reporters. The Chicago Tribune Book of the Chicago Bears is a decade-by-decade look at the Chicago Bears, beginning with George Halas moving the team to Chicago in 1921. The Bears soon became known as the Monsters of the Midway, dominating the sport with four NFL titles in the 1940s, seven winning campaigns in the 1950s, and a final title with Halas as coach in 1963. Their 1985 Super Bowl championship transformed the city's passion into a full-blown love affair that continues today. Professional football was practically born in Chicago, nurtured by Halas through the Depression and a world war. The game was made for Chicago, in Chicago, by a Chicagoan. Now the award-winning journalists, photographers, and editors of the Chicago Tribune have produced a comprehensive collector's item that every Bears fan will love. The Chicago Tribune, founded in 1847, is the flagship newspaper of the Tribune Company. Its staff comprises dedicated, award-winning journalists who have authored many best-selling books. Don Pierson is a retired Chicago Tribune pro football sportswriter and member of the Pro Football Hall of Fame writers' wing. He lives in Chicago, IL. Joe Knowles is the associate managing editor, sports for the Chicago Tribune. He lives in the Chicago, IL area.